I know for all our readers in the U.S, Thanksgiving means a few things. There’s turkey, there’s football, and then there’s Black Friday. 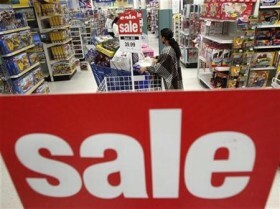 now more than ever Black Friday is becoming more and more of a nationwide event. All the major retailers try their hardest to entice consumers to spend, spend, and spend some more. It seems every year the deals get better and better, but they come at a price. You have to get up or maybe stay up till 3, 4, or 5am and brave the wreckless long lines in hopes to just one doorbuster item. In years past I’ve been able to resist from getting up at the crack of dawn. This year might be different. Not only is there some great deals in-store on Friday morning, but many big retailers have their Black Friday sales start early online. As a matter a fact, by the time you read this article, retailers like Radio Shack and Best Buy will have started their online Thanksgiving day sales. That might be your best shot of getting that big ticket item. So get ready to hit the refresh button from now till Friday night. Don’t forget about Apple’s top secret Black Friday that will start online only at 9am. Nobody knows exactly what Apple will selling at a discount, but the rumors are out there. Another great online deal is the $89 Kindle 2 at Amazon. it is one of their Friday morning lightning deals, which starts at 9am PST. Lightning deals sell in limited quantities, so you’ll need to be ready to buy as soon as it becomes available. If you decided to shop online be aware of what sites you goto. Reports this year that hackers have created sites that look so legit, they would fool anyone. make sure you type in the site’s address yourself, and dont goto a shady site that you have found on a Google search. Security experts at SonicWall UTM Research discovered “polluted” results appearing in search engine results for holiday shopping-related terms in advance of Black Friday sales next week, the company said. These links take users to a malicious site that tricks users into downloading malware.